Adobe Acrobat X (Acrobat 10) is Out – Standard, Pro, and New Suite! 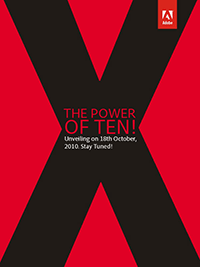 Yes – Adobe Acrobat X has just been announced with all the details… Pretty much on the timeframe we forecast, you can learn about and order any of the three new versions, or download the free trials. 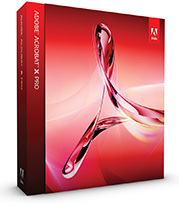 For this 10th generation of the PDF industry standard, Adobe is offering two versions – Standard and Pro – plus a brand new Acrobat X Suite Edition that features Acrobat X together with Photoshop, Captivate, and three other Adobe products. As was announced last spring, the previous “Pro Extended” version which focused largely on 3D had its technologies transferred to two other companies for future development – but some of the other things that Extended did are picked up by the new Suite. 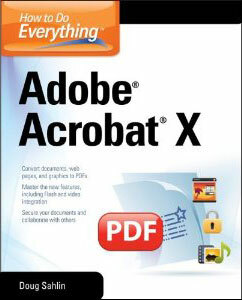 The very first version of Acrobat came out in 1993 and there have been 40 million total Acrobat units sold since then, Adobe’s biggest product ever… Over 90% of Internet-connected computers have the Adobe Reader installed, and there are over 160 million PDF files on the Web. 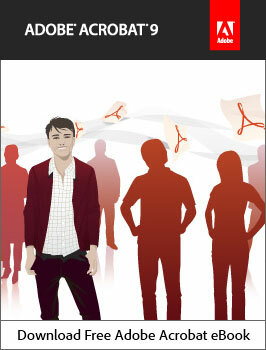 So what’s new in Acrobat version 10? Last week Adobe held a private briefing for partners under non-disclosure agreement, where they gave “an overview of the upcoming Creative Suite release”… While we can’t speak to what transpired within the presentation, the invitation itself is publicly available. Given that the next release of Adobe Acrobat is due out within a matter of weeks (see why and when, or get a chance to win a free upgrade to Acrobat 10 Pro), and given the two year age of Acrobat 9, it’s likely Adobe would be refreshing CS5 with the addition of the new Acrobat X. 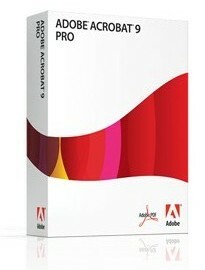 When Acrobat moved from version 7 to version 8, Adobe subsequently updated the Creative Suite and issued CS2.3 – and then once again when Acrobat revisioned from 8 to 9, Adobe incorporated the new version into CS3.3 in 2008. Acrobat 9 is still what we have today in CS5 – but since it’s obviously way too early for CS6, it seems a safe bet we’ll be seeing a point release (CS 5.3?) that would incorporate the new Acrobat 10. But from reading the briefing invitation, it looks like there will be more in store for this next release than “just” integrating the new version Acrobat X Pro. It says, “… an overview of the upcoming CS release with a focus on InDesign and ePublishing…” Adobe has been hard at work on a new Digital Publishing Platform (you may have seen or read about the tablet editions of WIRED or The New Yorker magazines) that ties in with InDesign, and is (over)due to be made available on Adobe Labs. It seems logical that this would also be part of a CS5 point release, as it is a major deal for magazine and print publishers to deliver their content to the iPad, iPhone, Android, and other mobile devices, and has been quite successful thus far… But since the publishing tools haven’t yet been released in beta form on the Labs, it could be a while longer before the final version of this new technology is ready for the world at large. When is Adobe Acrobat 10 Coming Out, and What’s New? Happy second birthday Acrobat 9! So considering Adobe usually runs on two-year product release schedules, give or take, what does this imply for when Acrobat 10 will be coming out?